NextMTD is being delayed – Why? What Are the Implications of Making Tax Digital for Small Businesses? Whether you’re new to the conversation surrounding the government’s Making Tax Digital (MTD) initiative or you’ve been following it from the beginning, chances are that you have some questions. If so, you’re certainly not alone — the uncertainty around the contents of the initiative, when it might actually roll out, and how it’s going to affect your business has a lot of small business owners worried and wondering. So how will MTD actually affect your business? Every business is different, so the exact way that MTD plays out in your business is going to be unique. But there are a few commonalities that we can speak to. You’re going to have to go digital. 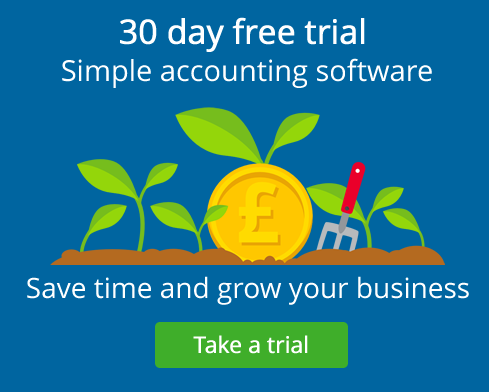 However you’re keeping up with your business finances now, you’re going to have to make sure that you’re using a digital accounting system so you can upload your financial data into the HMRC interface. While this shouldn’t be too much of a transition if you’re already using accounting software, you will need to transfer your data into some sort of digital system if you’re one of the many UK small business owners who’s still using a spreadsheet, handwritten ledgers or the beloved “shoebox” method. HMRC has been careful to say that they’re aware that there will be cases where people truly can’t use the MTD interface — for example, those who live in rural areas where there’s not enough broadband coverage to upload data — and they will provide alternatives. But for the most part, tax is going digital, and so should your bookkeeping. Under MTD, you don’t file one big annual tax return a year. Instead, you update your data in the MTD interface at least once a quarter. This means that you may have to spend some more time keeping on top of your bookkeeping throughout the year, especially if you’re the kind of person who’s used to throwing all your receipts into a box and handing them off to your accountant at the end of the year. … but you may make that up in the time you don’t spend on the phone with HMRC or filing your old-style annual tax return. The upside of using a streamlined digital system is that all of your data is collected continuously in one place. This means that you won’t have to spend time getting the runaround from HMRC as they ask you for data you’ve already shared with them or hanging around waiting for letters in the post. Everything will be digital, including your communication with HMRC, so that should make things more efficient. Similarly, since you’ll have been updating your tax information throughout the year, you won’t have to spend hours sorting it out at the end of the year like you used to have to do with an annual tax return. It will already be uploaded and sorted, so filing should be much simpler and easier. You probably won’t have to pay more tax because of MTD. While the finer details of MTD are still very much up in the air, it’s unlikely that you’ll have to pay more tax as a result of participating in it. While your tax bill might go up if you’ve previously been under-reporting or making errors in your tax return, it won’t be because of changes in tax law. It will simply be correcting the errors so you’ll be paying what you actually owe — and avoiding the possibility of HMRC deciding to do a compliance check. You might even find that you pay less tax; because you’ll need to keep your records up to date, there’s less likelihood that you’ll misplace receipts and declaring profits that are actually higher than they should be. You might find it harder to avoid tax with MTD. Along those same lines, if you’ve been playing a bit fast and loose with your taxes, that will likely be more difficult to do with MTD. Since you’re filing data quarterly and all your information is gathered in one place, there will be less room for errors (unintentional or not-so-unintentional). HMRC hopes that this will help them collect some of the billions of pounds that currently slip through the cracks — and in turn use it to fund programmes that benefit everyone. You’ll have a better picture of your business finances throughout the year. One of the most helpful parts of MTD for small business owners is the real-time tax aspect. While right now you have to wait until the end of the year to find out how much you owe on your tax bill, real-time tax will give you a sense of your how your tax obligations are shaping up throughout the year. Every time you upload your data into the MTD interface, it will automatically calculate the amount of tax you’ll need to pay, allowing you to set aside money throughout the year and make more accurate financial projections. Overall, it’s looking like MTD is going to have positive implications for small business owners. While there will be some changes as the initiative rolls out, the streamlined filing process, reduced chance for errors, and insight into your tax obligations throughout the year will not only make the tax process easier — it should help small business owners make more informed financial decisions. Worried about making the transition? We’re here to help. Stay up to date with the latest on MTD right here. Our new product, Clear Books Micro is a free bookkeeping spreadsheet template stored securely in the cloud. It will allow you to get yourself ready for MTD ahead of time – all you need to do is invite your accountant, who will handle the online submissions for you. MTD is being delayed – Why?